The mother of Antonette Thevenin intended to tell the judge on Friday her thoughts moments before Carlee Marie D’Arata was sentenced to 10 years in prison for her daughter’s death. But first she opened a piece of paper and read a letter written by Nevaeh, Thevenin’s 11-year-old daughter. “I am writing this letter to say my life will never be the same,” Nevaeh’s letter states. “Your kids still have a mom. I don’t. “Carlee, I wish you would have made a better decision,” read Trish Strom, Thevenin’s mother and Nevaeh’s grandmother. Nevada County Superior Court Judge Candace Heidelberger on Friday sentenced D’Arata as part of a plea agreement. D’Arata, 29, pleaded no contest last month to gross vehicular homicide while intoxicated in connection with the April 15 death of Thevenin, 31. 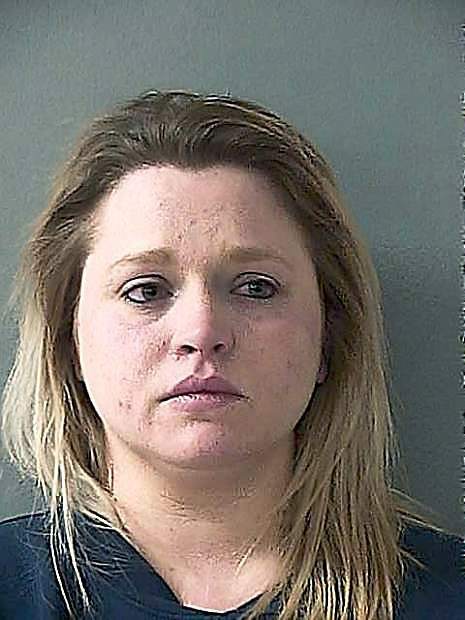 D’Arata, convicted in 2007 of misdemeanor DUI, was accused of having over the legal limit of alcohol in her system when the ATV she was driving wrecked, killing Thevenin, prosecutors have said. “She will be missed every day of our lives without her smile and her infectious laugh,” Strom said, arguing D’Arata should serve at least 80 percent of her sentence. Heidelberger said she had no power to either decrease D’Arata’s sentence or affect the credit for time served she receives. It’s possible D’Arata will serve five years only. She has credit for 80 days’ incarceration. Gina Marie Brown, Thevenin’s sister, told D’Arata that her actions broke her heart. Friends and family loudly sobbed as Brown read a letter during the sentencing. At times D’Arata wiped tears from her eyes. Standing and turning to Thevenin’s friends and family, D’Arata said she had no words to describe her feelings. She told them that when they were ready to talk to her, she’d be prepared to apologize. Defense attorney Adam Gasner, who represents D’Arata, said his client accepted the plea offer because she didn’t want to prolong the legal process. The judge then sentenced D’Arata and ordered her to pay over $3,000 in fines and fees. Supporters of D’Arata called to her as a deputy placed her in handcuffs and led her from the courtroom. “I love you, Carlee,” one person said. “I don’t love you, Carlee,” said someone on the other side of the courtroom.